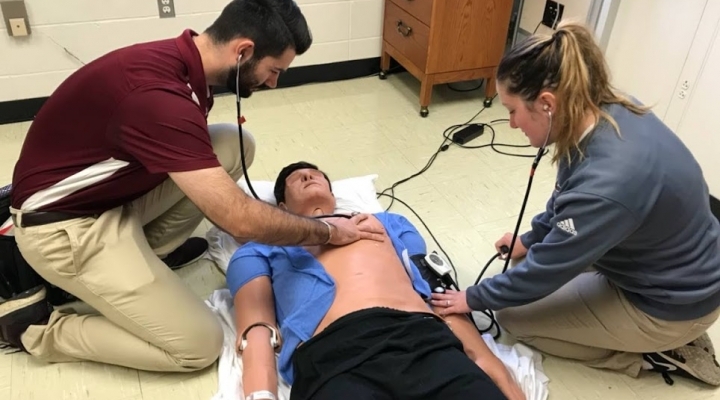 Eastern Kentucky University (EKU) offers a Professional Master’s Degree in Athletic Training (MS in AT) that was granted accreditation in August of 2016 through the substantive change process. Any student who has completed a bachelor’s degree from EKU or a regionally accredited four-year institution, and has completed the pre-requisite courses and admission requirements are eligible for consideration for admission to the EKU MS in AT. Currently, we do not require a specific undergraduate degree for program admission, but a strong background in basic sciences is desirable. The MS in AT is a full-time, 2-year program, including summers, that provides athletic training students with an effective blend of evidence-based didactic information, clinical experiences for skill and theory integration, and exposure to a variety of practice settings for athletic trainers. 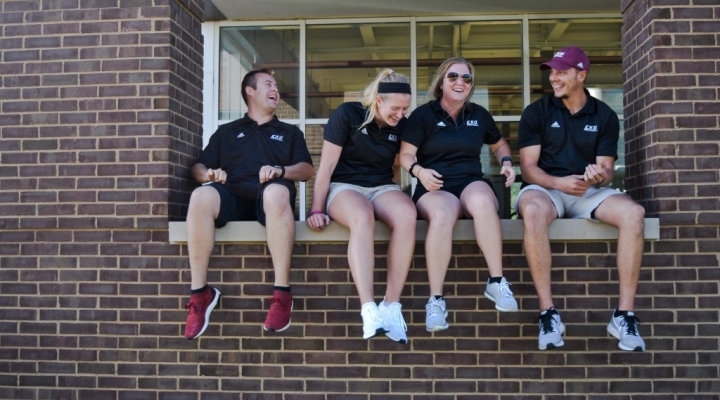 The EKU AT program thoroughly addresses compliance with Commission on Accreditation of Athletic Training Education (CAATE) accreditation standards, from which the EKU MS in AT Program is accredited, and Board of Certification (BOC) requirements. Please check the AT Program Handbook and the Athletic Training Centralized Application Services (ATCAS) website for the most current and up-to-date information for any programmatic or curriculum changes. Both sites have detailed instructions on what information is needed to apply. Please note for the Summer 2018 cohort, admission applications opened on June 29, 2017 and will be accepted on a rolling admission cycle. 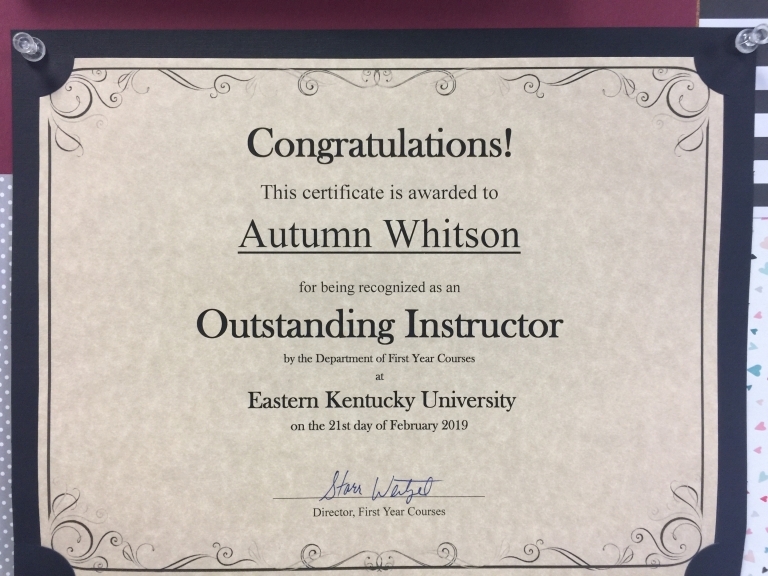 The primary mission of the Eastern Kentucky University Masters in Athletic Training is to educate each student about the theoretical and clinical skills necessary to work effectively with the physiological and biomechanical aspects of injury and illness with regard to patients. Depending on the student’s personal and professional goals, they are presented with didactic and clinical experiences that will allow them to be able to exercise sound ethical judgment, achieve satisfying careers, and make positive contributions to their communities and the athletic training profession. In addition, the AT program guides the student on the journey to become a lifelong learner through obligatory professional continuing education. As a graduate-level academic program, the integration of research evidence into didactic and clinical instruction is a defining characteristic of the EKU AT Program. Rather than simply teaching students how to perform clinical procedures, the curriculum is designed to facilitate development of the critical thinking and clinical decision-making skills that characterize high-quality healthcare. All aspects of the MS in AT program are designed to conform to the accreditation guidelines of the Commission on Accreditation of Athletic Training Education. The development of foundational professional knowledge and clinical skills over a two-year period, including summers, prepares the student for successful completion of the Board of Certification (BOC) examination. The program provides exposure to advanced clinical concepts and professional issues that facilitate further professional development into the future. A primary objective of the MS in AT program is to prepare athletic training students to ultimately become master clinicians and professional leaders, which is why the current program includes multiple immersive 40 to 60 hour a week semester long clinical experiences. These immersive experiences occur during the last two semesters, culminating in a semester long Field Experiences and the Field Experience II in AT capstone experience where the student integrates all their knowledge, skills and abilities in an immersion real work semester experience. Development of critical thinking skills that will guide future clinical practice and foster commitment to lifelong continuing education. Provision of classroom instruction that emphasizes scientific foundations for clinical theories and evidence based clinical decision-making as they relate to entry level competencies. Provision of clinical education experiences that develop entry level clinical Knowledge, Skills and Abilities (KSA’s) in AT. Cultivation of a strong commitment to a high standard of ethical conduct and professional excellence. Promotion of student professionalism in appearance, demeanor and clinical practice. Development of the ability to effectively communicate with both written and oral presentations. Development of the ability to effectively utilize technology in athletic training for injury surveillance. Facilitation of student understanding of the athletic trainer’s evolving role within the U.S. health care delivery system. Empowerment of students to assume leadership roles while in the program to develop future athletic training professionals who are involved professional in the leadership of the profession.